Product prices and availability are accurate as of 2019-04-15 14:25:27 UTC and are subject to change. Any price and availability information displayed on http://www.amazon.com/ at the time of purchase will apply to the purchase of this product. 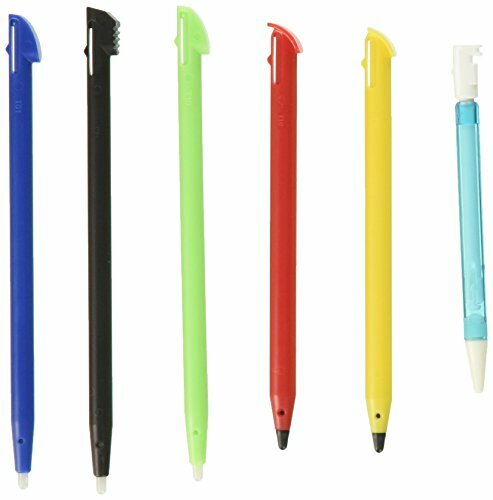 The Rainbow Stylus Pack provides you with the perfect solution for all those lost styluses. The pack includes 6 colorful telescoping styluses. These adjustable styluses provide comfort for all hand sizes. Best of all, the styluses work with your Nintendo 2DS, 3DS XL, and 3DS.